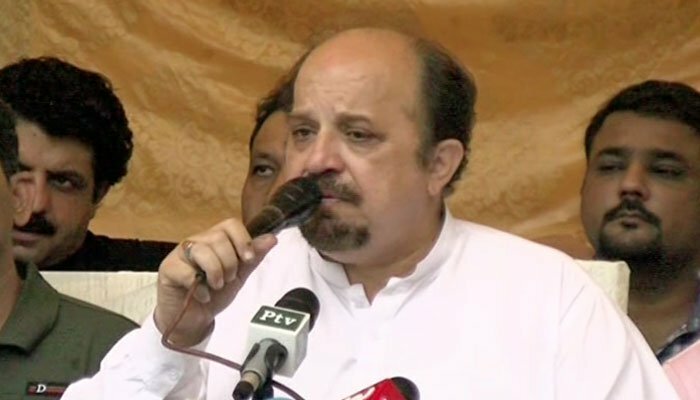 KARACHI: Leader of the opposition in the Sindh Assembly, Firdous Shamim Naqvi stepped down as president of the Pakistan Tehreek-e-Insaf (PTI) Karachi chapter on Saturday. The PTI MPA said that he wants to focus all his attention on the resolution of the issues facing the province in his capacity as the opposition leader in the provincial legislature. He said he has sent his resignation to PTI chairman Imran Khan. The PTI, which emerged as the second largest party in the house after the ruling Pakistan People’s Party (PPP), had named Naqvi as its opposition leader. The Muttahida Qaumi Movement-Pakistan (MQM-P) and Grand Democratic Alliance (GDA), the PTI government’s allies at the centre, had also backed Naqvi’s nomination as the opposition leader. He said that the PTI’s stance on the MQM has not changed. MQM ruined Karachi and it faced defeat in the July 25 elections owing to the poor performance of its mayor in the city. In response to his statement, an MQM leader said that PTI chairman Imran Khan couldn’t have become prime minister without MQM’s support.